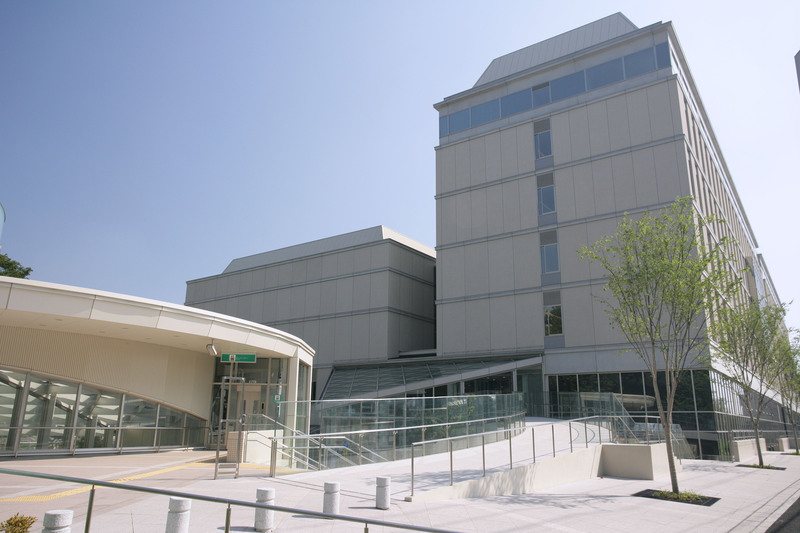 In 2011, Keio Business School (KBS) joined four of the world’s leading business schools— ESSEC Business School, France; the School of Management, Fudan University, China; Tuck School of Business at Dartmouth, US; and the University of Mannheim Business School, Germany—in establishing the Council on Business and Society, a unique international alliance aimed at tackling the critical issues facing international business and society. With the addition of Fundação Getulio Vargas (FGV), Brazil, the following year, the alliance grew to six schools, bringing together the resources of some 600 full-time faculty, 20,000 students, and a network of 90,000 alumni with the aim of making an impact both in the world of management education and in solving major global issues in areas such as environment, energy, and healthcare. The initiatives of Council on Business & Society center on its biennial forums, which unite the expertise and ideas of faculty members and students from each of the partner schools with that of representatives of business, government, and non-governmental organizations from around the world to tackle one key societal issue each forum. Promising insights and results are then presented in a white paper, executive summaries, and participant interviews. The inaugural forum, held in 2012 in Paris, dealt with the topic of “Corporate Governance and Leadership.” KBS has stepped up to host the second forum in March 2014, under the topic “Health and Healthcare: at the Crossroads of Business and Society,” a topic of particular relevance in Japan, which faces various challenges to meet demands for innovation in healthcare against a background of globally unprecedented population ageing. 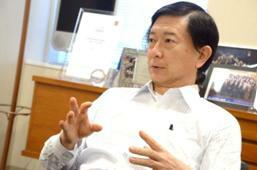 Professor Hirokazu Kono, Dean of KBS, shares his thoughts on the mission of Council on Business & Society and the role of KBS. What were the principles behind the founding of the Council on Business and Society? People tend to think that business schools focus solely on financial success, but effective business means being aware of all factors and aspects involved in business. For example, let’s imagine that you cut costs and raise profits by establishing a factory overseas, but meanwhile the by-products of your new factory are damaging the environment or population of the local area. Would we consider this business to be successful? Truly successful business takes into account factors such as the natural environment and the happiness of the people it affects. Many issues in business and society are interrelated, which often results in friction. Instead of simply focusing on business, we need to create bridges with society and pursue and share research on how business can contribute. At the same time, the current issues of interest differ from country to country: for instance, while developed countries are now keen to tackle issues such as the environment, economic disparity, and population ageing, many developing countries prefer to focus on economic growth. Developing countries will also face such issues in the future, and we need to take action sooner rather than later or we risk limiting the possible solutions. With this in mind, a number of the world’s leading business schools need to come together to pursue joint research on these issues and share the results with society—this is the founding principle of the Council. What do you perceive to be KBS’s role within Council on Business & Society? Over the years, Japan has faced a number of environmental problems, including a number of tragic pollution-related disasters, and been relatively successful as a forerunner in dealing with these issues while continuing to grow economically, learning how to adapt its strategies to overcome difficulties along the way. Now we are also dealing with population ageing that is globally unprecedented in magnitude and pace and the serious issues which accompany it, many of which involve major overhauls to public systems. As Japan continues to take the lead on dealing with social problems, KBS, as the country’s top business school, needs to share with the world the Japanese approaches, such as how the commercial and political worlds cooperate together, how universities support change in the world of business, and how regulation is used to solve conflicts of interest. By participating actively in the Council on Business & Society and its joint research, we aim to share with international society the issues Japan is facing and the way problems are tackled swiftly and collaboratively. KBS will be hosting the second forum on “Health and Healthcare: at the Crossroads of Business and Society” in March 2014. What elements of the upcoming forum are of particular interest to you? The topic, “Health and Healthcare,” encompasses not only healthcare business, but also major health-related issues in society. As Japan tries to respond to the needs of a rapidly ageing population, we are seeing progress in healthcare provisions and medical and nursing care insurance, but at the same time many problems—such as discrepancies in access to adequate health care and a shortage of medical professionals—are coming to the surface. Medical institutions, companies, the government, and also universities that train medical professionals all need to come together to contribute ideas and create solutions. Another key issue to address is the increased need for companies and organizations to provide adequate mental care for employees in the context of today’s high stress society. At the forum, we will emphasize the fact that it is unacceptable to neglect employees’ health due to the costs, whatever the stage of development of a society, and also to discuss how management attitudes can affect solutions to these problems. We will also be focusing on innovative technology, including IT, and how its use in dealing with healthcare-related issues. The aim of the forum is to introduce firsthand the strategies employed by Japan, including the way in which Japanese society has tackled such issues and the ways in which Japanese business have dealt with the growing responsibility of companies to provide healthcare. We are hosting this forum because there are a number of faculty members at KBS researching healthcare-related issues, and we felt we had something to share. 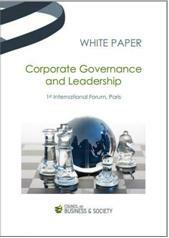 The inaugural forum in Paris in 2012 approached the topic of “Corporate Governance and Leadership.” What were your impressions of the forum? While Japanese companies and universities are aware of the importance of governance, Japanese companies have been rather conservative about adopting outside directors in favor of having strong leadership. On the other hand, in Europe in many cases more weight is placed on governance and how to exercise leadership within the structure of governance. The discussions at the forum helped me to recognize that the emphasis on governance is quite different, which is something that I imagine is related to deep-rooted factors such as history, philosophy, and our perceptions of society. The representatives of each country and region each brought to the forum different approaches to business and governance, such as managerial structures: for instance, we looked at the case of Germany, which favors a dualistic board structure—companies are required to have both a management board that oversees company operations and a supervisory board that oversees and advises the management board—as opposed to the single-tier approach adopted in many countries. As discussions at the forum introduced and highlighted such differences, it impressed on me the difficulties that global companies must face in adapting to them. Rather than just being content to have overseas partners, Japanese companies could learn a lot by actually getting out to such places and experiencing firsthand situations in which ways of thinking differ. KBS was in charge of organizing one of the sessions at the first forum, where the presentations by faculty members and students tackled some complex issues in impressive depth. Being able to give a presentation in front of people from around the world and receive feedback is great motivation for students, and extensive preparations improve their presentation and analytical skills noticeably. What developments do you see for the future of the Council on Business & Society? One of the visions we have for the future of the council is to make the forums an opportunity to share information with international society, similar to the World Economic Forum’s Davos meeting but without the political implications. Essentially we aim to consider solutions to global issues in business and society with theory and practice as a backbone and academic research as a base. By increasing the profile of the Council, we can position the alliance as a platform for the six member schools to pursue joint research on issues that are proposed to us. For university researchers, it is a huge challenge to be asked to devise solutions to very real issues that transcend national borders, but business schools need to be prepared to respond to such challenges. I believe that my role as dean is to guide the direction of research so that we cooperate with research that provides solutions to the needs of society. What does internationalization mean for KBS? Whenever I attend an international conference or event, I am surprised at how fast the business schools of the world are progressing. It is not easy to pick up on these international developments within Japan, but we need to stay abreast with international trends. One way to do this is welcoming international students to Keio and sending our students abroad. KBS has increased the number of its partner schools from 32 to 41 this year, and plans to further increase this to 50 in the near future. We aim to provide an education that is based on the best aspects unique to Japanese management education while also allowing students the opportunity to develop their international perspective.